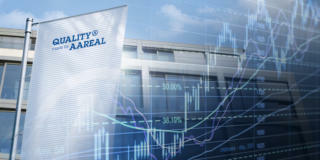 Aareal Bank Group represents solidity and a sense of responsibility. Both internally and externally – in our dealings with our employees, shareholders and clients, with society as a whole and with the capital markets. The financial services industry could potentially be a key driver of the transition to sustainable global growth – by allocating equity and debt, developing sustainable solutions, creating attractive investment opportunities and providing reliable, comprehensive information. As an international player in the financial services sector, Aareal Bank Group's key way of adding value to society is by doing business in a responsible, sound manner and hence contributing to stability in the sector. 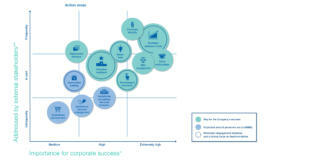 When managing the Group's future viability, we focus on twelve core action areas that were identified using a materiality analysis. These also dictate the structure of this report. Find out more about how this report ties in with other materials in the section entitled "About this report". 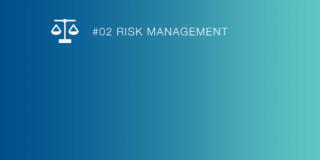 Our long-term success depends on end-to-end risk management. We see technological change as a chance to add value for our clients. 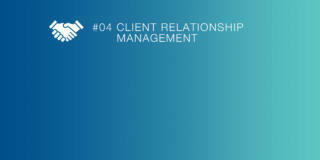 Talking to our clients is critical to Aareal Bank Group. And we take this approach to every project in our business segments. 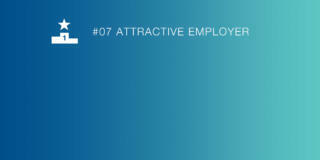 Reliability and predictability are at the heart of our business. We seek dialogue with our internal and external stakeholders. Actively and repeatedly. We rely on employees who think and act in an entrepreneurial manner, take responsibility and develop pioneering solutions. Our knowledge and our experience are our greatest success factors. The properties we finance and our business partners have to meet strict standards. 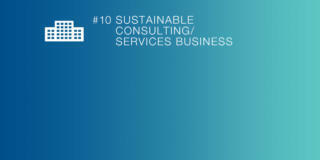 Our Consulting/Services offering helps our clients achieve their sustainability goals. Using resources effectively and efficiently in everything we do. We set high standards – for ourselves, our business partners and our service providers.